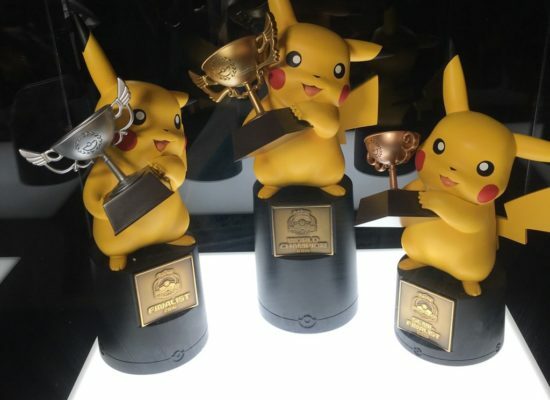 Good morning/evening everyone, my name is James Goreing and this is my first competitive article as a writer and content creator for Ace Trainer! 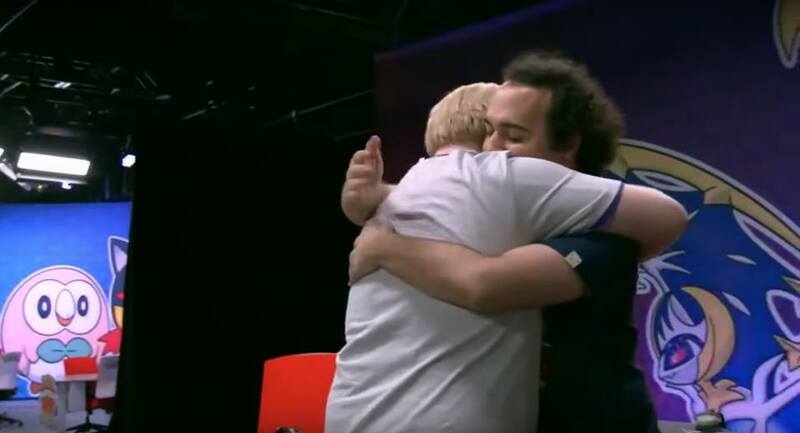 This past weekend was a three-day affair of scribbling notes, testing decks, and limited sleep that saw one of the biggest tournaments of all time end in spectacular fashion. So, please enjoy, everything we learned from the NA International. 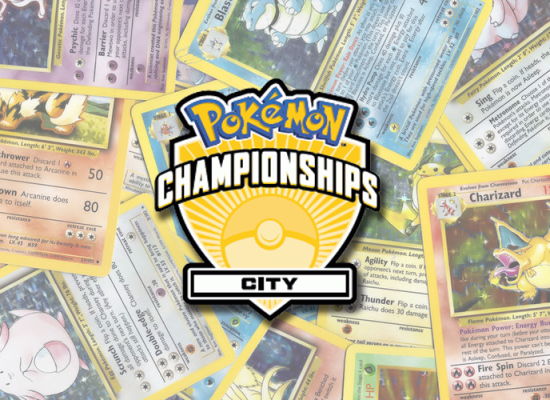 This past weekend saw host to the largest competitive Pokemon TCG event in the history the game, the 2018 North American International Championship. Over 1500 Masters players competed over three days for the points, prizes, cash and kudos of taking down one of the most prestigious events in the tournament calendar. 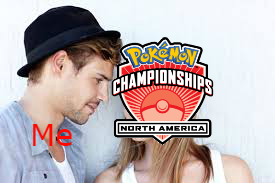 The NAIC is important and impressive for several reasons, past the insane endurance test of fifteen swiss rounds and the insane turnout and difficulty level, it’s also the capping stone to the BreakThrough to Forbidden Light format, the penultimate Standard Format to the World Championships Standard Format, sans Celestial Storm. With such a well-tested and well-defined format, tried and true decks, lists, and concepts are available and safe, calculated meta choices can be made. Alternatively, high-risk longshots can be made against formats that refuse to adapt. The NAIC showcased both these approaches and had some stellar matchups and lessons to be learned along the way. A total of 19 different archetypes made it through to Day Two, nine with multiple representatives and ten with single showings. Nineteen decks making it through shows an incredibly diverse format, with something for everyone. The event was won by Zoroark-Garb, a lesser common Zoroark GX variant which has been piloted by some of the big names at previous tournaments, when it took down an as of yet unseen and possibly unfavorable matchup in Straight Zoroark, or Control Zoroark build. BuzzRoc was the most played deck in the Day Two field with 12 of the 64 players piloting the deck. 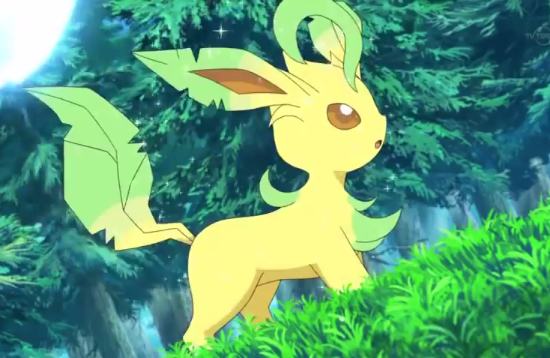 However, none made it through to the Top 8, a stark departure from BuzzRoc being one of the only non-Zoroark deck to win a large-scale event since Zoroark’s release. 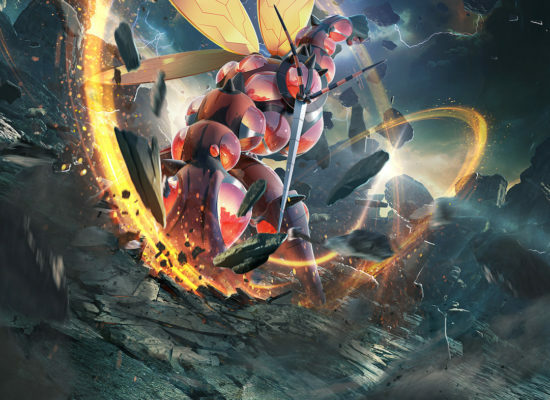 This could be due to people knowing how to play against Buzzwole decks after testing against it so much, people favouring decks or tech options that exploit Buzzwole’s limitations such as the use of Weakness Policy to capitalise on the absence of Field Blowers, or even just Malamar decks becoming more refined and putting up a better fight. If you combine all variants, Zoroark Decks account for 21 spots in the Day Two field, including 5 spots in the Top 8 and even both decks in the finals. Going into this event it seemed that Zoroark was considered less popular than Buzzwole Lycanroc and Buzzwole Garbodor builds, but after Zoroark Lycanroc winning Sheffield Regionals and now the lesser-seen Zoroark Garbodor winning the largest event in Pokemon history, it’s fair to say that Zoroark GX is, has been and always will be an insanely powerful card. Grouping all Malamar decks together, the squids had 9 placings in Day Two, with 2 Psychic Malamar decks making it to Top 8. Generally, Malamar has been accused of being too inconsistent to handle the field, and even accused of losing to Buzzwole decks, what should be on paper an easy matchup due to weakness, but this event showed a variety of successful squid lists. It seems unlimited energy acceleration seems like a reasonable strategy. It was interesting to see another big tournament be won by a deck that isn’t considered to be the best deck in format at the time. I don’t think the BDIF, or even a tier one meta deck, has won the World Championships since Virizion EX/Genesect EX in 2014, with possibly the exception of Gardevoir GX winning in 2017, which was a brand-new deck archetype going into Worlds so it had no previous achievements upon which to comment. The Hoopa SHL/Psychic attackers deck utilised the newly released Enerporter to help load extra energy on unsuspecting attackers so that Mewtwo EVO can hit for extra damage, as well as for some general disruption. There was even a deck that made it to Day Two that utilised the Shining Lugia card as an attacker when powered up by a fleet of Malamar’s. Shining Lugia has been on my radar since Hoopa SHL became a problem, as Shining Lugia has an attack for three colourless energy that deals 60 base damage, doubled to 120 if the opposing Pokemon has an Ability. This is incredibly useful as Shining Lugia is a colourless basic Pokemon that can be splashed into any deck that can one hit a Hoopa for a reasonable cost. It also has other amazing traits, such as resisting fighting, one hitting Octillerys, Malamars, Oranguru SUM and even two-hits GXs with abilities, like the omnipresent Zoroark GX and Lycanroc GXs. If that’s not enough to sway you, it even has a second attack for four colourless energy that does a flat 130 damage and discards an energy, hitting another key damage magic number. This is definitely a splashable attacker that deserves some more love. Another out of the bulk bins card that made it to the top tables was the inclusion of Weakness Policy, a response to the amount of Buzzwole GX and Lycanroc GX in the format, as well as a cheeky exploit of the fact that almost no BuzzRoc lists are running any Field Blower. I love seeing such as static, obvious exploit finally being taken advantage of. This shows two things; first that BuzzRoc may need to start running Field Blowers instead of just an insane amount of energy acceleration and damage buffs, and second that Zoroark GX is so great that not even weakness can stop it. There were even some occasionally-used cards that really made a stand out showing through several archetypes, which warrants them some more respect. I believe that the undisputed single most influential card of the weekend was Oranguru UPR. The Resource Management attack shuffles in crucial cards from the discard to the deck in a way that prevents them from being milled, saving options for later. It was as simple as the fact that Zoroark decks that played the shuffle monkey beat those Zoroark decks that didn’t play it. Giving you a potential edge against a host of other top tier competitors, as well as being a one card answer to decks that would otherwise auto-lose to mill or energy denial decks, the affectionately titled “Other Oranguru” is surely the resource warrior needed to swing certain matchups in your favour. Consider this as a tech option for any deck that struggles with mill or that can straight up loses to poor discards. In his winner’s post, Stephane Ivanoff sang the praises for Kartana GX, noting that it can discard energy, prevent being stuck in 7-prize games and even ohko’ing Sylveon GXs, for what that’s worth. 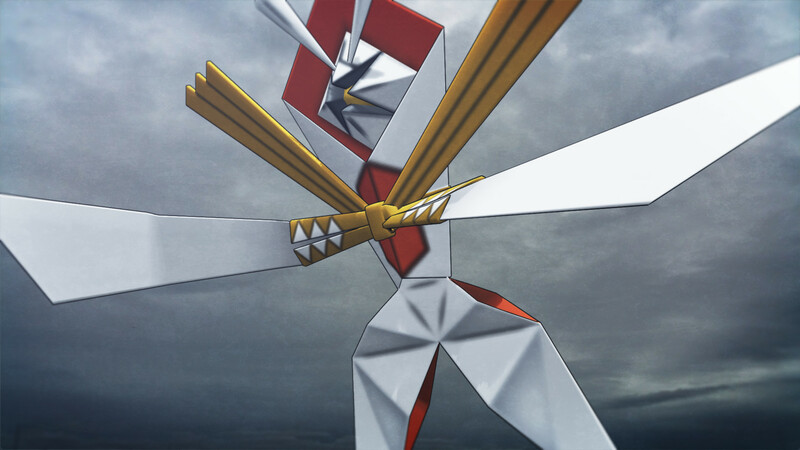 Kartana GX also saw play in the attacking Hoopa SHL/Psychic attackers deck, where it was deemed so important and impactful that an otherwise Darkness and Psychic typed deck played a couple of Metal energies as well to be able to use Blade GX. Being an Ultra Beast also allows Kartana GX to be used in BeastBox style decks, being able to summon it when needed with the Ultra Space stadium to serve the multiple roles of ditching an opponent’s Special Energy, powering up Naganadel GXs Beast Raid attack and giving a cheap GX attack option. I’d like to give a quick mention to the role Evosoda, and increasingly now Mysterious Treasure, have come to play to supplement the limit of only being able to play four Ultra Balls in a deck. Giving that little bit of extra field development is important to help establish a hold on a game, to give yourself the most outs to a reasonable first turn with access to Tapu Lele GX or hitting your Psychic tech attackers. Parallel City has found its way to be the top Stadium of choice of only maybe three Stadium cards that are good enough to get play, along with Brooklet Hill in second and Reverse Valley as a distant third place. Parallel City is so interesting as it’s a tech option that can be included to help wing problematic matchups, as it heavily impacts the plan of decks that require a bench to function, like Malamar or Zoroark Decks. The multiple roles that Parallel City serves justify its heavy inclusion, allowing a player to limit their opponent’s bench to stop their setup, to limit your own bench to remove unneeded Pokemon, clear damaged Pokemon or otherwise just make way to bench new Pokemon. The damage reduction rarely comes up anymore, but anything that can help slow down Greninja decks is fine with me. The current state of Stadiums reminds me of the 2013-2014 format where it was just Virbank City Gym as a universal damage buff, Tropical Beach in set up decks and the occasional Skyarrow Bridge to help get around. Keep in mind Parallel City rotates out of Standard after Worlds, when it’ll be interesting to see what replaces it as the default Stadium of choice. Receiving heavy play due to the popularity and success of Zoroark decks in general, the ever-broken combo card Puzzle of Time continued to help give players exactly what they need to respond every turn. In the way that proven, tested, broken concepts rise to the top, I like the divide between current Standard decks, where if you can attack for one energy and run Zoroark GX, then Puzzles it is, but if you want to attack for 2 or more energy, then the other broken BreakPoint card comes out, Max Elixir. It seems that if you’re not legally “cheating” extra energy or extra resources into play, then you just won’t keep up with those that do. With the amazing buffs that Special Energy can offer, it’s no surprise to see a resurgence in the play of Enhanced Hammer. For decks with resource recursion, running an opponent out of Energy cards and then sweeping uncontested is a fine strategy, as well as just providing useful crowd control and slowing down your opponent’s pacing. Another reprint keeps Enhanced Hammers around into the next rotation as well. For me, the most interesting take away point from the NAIC was the game of “whatever you can do, I can do better” between ZoroPod and ZoroLycan decks. It looks like both got the memo that gusting up an opponent’s draw support, usually Octillery or Oranguru, and then using N to reduce their hand size and taking a knock out is about the best checkmate position that can be made in the Pokemon TCG. This combo takes a little bit to pull off, as obviously you can’t play both a Guzma and N in the same turn, so some more creativity is required. While Zoroark Lycanroc decks obviously have Lycanroc GXs amazing Bloodthirsty Eyes ability to supplement their gusting options, Zoroark Golisopod incorporated the lesser seen Counter Catcher to achieve the same crushing combo. I take it as good design when you can achieve the same desired effect through multiple combinations of pieces. It keeps the Cardpool interesting and deckbuilding slightly more varied. Hopefully, this rundown of some points of interest from the North American International Championship has given you some things to think about, some analysis of the trends at the biggest event in Pokemon history, and maybe even some takeaway info to help you go into the Celestial Storm and World Championship format.